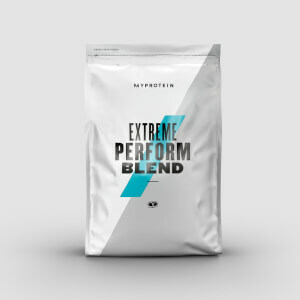 An indulgent high-protein treat with a unique blend of micellar casein, calcium caseinate, whey protein concentrate, and egg white powder, that'll satisfy your sweet tooth without derailing your training. Our Protein Dessert provides over 30g of protein per serving, which helps to grow and maintain important muscle1 — super-important whatever your fitness ambitions. This great-tasting dessert is ideal as a late night treat, but it’s also perfect any time you want to quickly increase your daily protein intake. When to enjoy Protein Dessert? Simply add 2 large scoops (50g) into a shaker with 150-250ml water or milk and shake until you've got a smooth consistence. Best served chilled, so leave to sit in the refrigerator for 10 minutes before serving. What to enjoy Protein Dessert with? 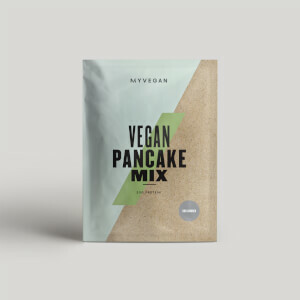 Start your day in a protein-packed way with our delicious Protein Pancake Mix, another sweet treat to satisfy your cravings. The nutritional information is based on the Banana Split Flavour version, when choosing an alternative flavour the nutritional values may vary. Bought the strawberry one and it's just like angel delight. Now if they make a butterscotch one ill be ecstatic. Was looking for something to help fill the gap when a protein drink just wouldn't do. This product is perfect, I've tried the banana and the chocolate (chocolate is real good). Mixes extremely well, tastes real great and takes seconds to make. I mix with 100ml of milk, this makes a nice thick mix. I then put in the fridge to chill and have it when I feel the urge. I've also used this pudding mix in pancakes. I use the Myprotein instant oats, 1 whole egg and 5 egg whites. Add the instant oats to make a batter then add a scoop of the chocolate dessert. Cook like normal pancakes and serve with what ever you fancy..... Highly recommended product. The balance in the taste is perfectly found. The reason for it is not at least that a micellar casein is used as a basic protein in the protein matrix. It is managed to be close to chocolate mousse taste, which could be improved with tiny amount of creme milk flavour. Using of Belgium cocoa powder with 24-26% of fats also could improve the chocolate taste. The taste gives the opportunity to be used of wide variety of consumers. Salt, pumpkin seeds, coconut shavings, dark chocolate chips. Great powdered dessert tastes best when mixed with milk not water. A bit sweet if you don't like your chocolate that sweet. But for me just perfect takes be back to when i used to go all the way to Bristol in order top get stuff like that as could get it no where else, and i have tried most protein powders on the market, now i don't have to go that far nor pay a heavy price for the same product in better packaging. Tastes great, arguably the best out of all flavours for this particular protein! Wouldn't recommend the peanut butter one though... the taste affected my gainz. Thats right, you are reading this correctly. Why you ask? Because I didn't bleeding well finish the bag. The Salted caramel however... Absolutely divine. Well doen MP! 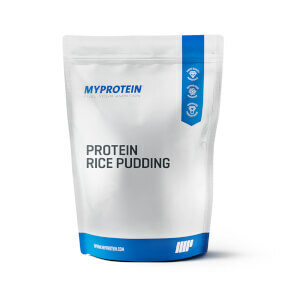 This product is great and helps with cravings of sweets puddings and has a pretty impressive protein content. It tastes great too!! Bought the chocolate flavour and couldn't enjoy it when mixed with water, it wouldn't go too thick and the taste and texture was too synthetic to my liking. Was really disappointed thinking this was going to be a waste of money product that never gets used. Mixed it with full fat greek yogurt and it's AMAZING. I mixed one scoop with two big dollops of Greek yogurt and the taste and texture is incredible. It goes really thick and has the same texture as Turkish ice cream... Quite chewy. The chocolate taste then becomes alot more shuttle so tonnes less synthetic. I bought this as I have a dreadful sweet tooth and I find staying away from chocolate and puddings in the evening near on impossible. Now that I have this with the Greek yogurt for dessert I no longer crave the entire contents of my child's sweetie cupboard. So for the purpose I bought it for, it is effective.